Cars come in a variety of colors from bright reds, to mild blues, to simple black and white. It has been reported that many autonomous vehicles experience trouble picking up certain colored cars. The best color choice is white. The challenge comes from the lidar systems, which see highly-reflective colors like white better than other colors. How many users would forgo a bright colored car if it meant a safer driving option on the road? According to the Detroit Free Press, the lidar system has a hard time seeing dark colors and paints that are less reflective. The issue isn’t as large as it seems, as we still have human drivers behind the wheel. However, as the technology progresses, it could pose an issue. It has been reported that even road signs can be of trouble to autonomous vehicles because they are meant for the human eye. While human eyes adjust, the lidar system has a tough time seeing dark colors that absorb light. As autonomous technology replaces humans, colors for vehicles will need to be bright enough for sensors to see, but not too dark where sensors will not see anything at all. Several studies are underway to solve the issue, but they require resting various paints and conditions in which we drive our cars. The industry is specifically working to correct any issues related to autonomous cars. China has enforced a zero-emission vehicle mandate, bringing the country to the forefront of the electric vehicle race. 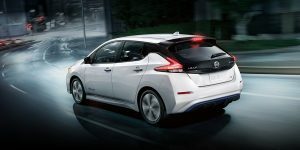 Nissan has begun production of a new leaf-based electric car in China, that will be priced at just $24,000 USD. The company announced a deal through it’s joint-venture to mass produce zero emission vehicles in China earlier this year. The vehicle is built on a leaf platform uses electric to further power it. The range will be approximately 338 kilometers once completed. The “Sylphy” has been around as a gasoline-powered car for some time. The electric version is similar to the Leaf in many ways, but also seems to be more aesthetically pleasing for consumers. 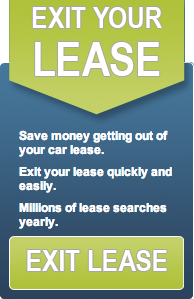 With proven technology as a part of the Leaf, the starting price is reasonable for such a vehicle. Nissan has not confirmed any specific volume in production, but has discussed mass-producing the new electric car. Some conclude that the vehicle is further proof that China’s electric vehicle policies are working very well. 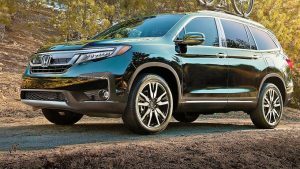 The 2019 Honda Pilot has now joined the 2019 Honda Insight hybrid. Both vehicles have earned the Insurance Institute for Highway Safety’s Top Safety Pick+ rating. Earning the prestigious rating is no easy task, vehicles must have advanced front crash prevention that earns an “advanced” or “superior” rating and earn the highest rating of “good” in numerous categories including small overlap front, moderate overlap front, side, roof strength and head restraint tests. Both Honda vehicles passed the toughest task of all- earning the highest rating for the headlight category. The latest crossover now has a standard crash-prevention syste m, which was rated “superior” for avoiding collision in the 12-mph test and reduced impact in the 25-mph test. The headlights are available in LED, and come with high-beam assist. BMW reported a 6.3% dip in second quarter profits at a quarterly conference in Munich. Earnings after taxes came out to $2.43 billion down from $2.58 in the previous year. The loss is result of the emerging trade war between the U.S and China along with increased spending develop electric and autonomous vehicles. While it’s too early to know the impact, China retaliated to tariffs imposed with a 40% tax on US car imports forcing BMW to raise prices 4-7% on X-5 and X-6 models made in South Carolina. The impact on sales is expected to be minimal and BMW has no plans to reduce or relocate production in the United States or because of tariffs. Despite decreased profits, BMW has seen an increase in vehicle sales, up 4,000 in the second quarter. The German Automaker prides themselves on their flexibility, claiming their long-term strategy has helped protect them from tariffs. Amid trade disputes, Harald Kruger says the company endures through the build up of local production. Vehicles are produced where BMW sells them: Asia, Europe, and The Americas. Attributing to lower profits, BMW has been stepping up their investments. 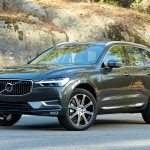 The automaker spent $50 million towards an expansion project and 2.61 billion euros on research and development focused on new technology. A key area of the spending has been on electric cars for which BMW has seen a 42% increase in sales. While the Q2 decrease in profits may indicate otherwise, BMW remains the largest U.S exporter and they maintain their $600 million dollar plans to expand the Spartanburg plant, ramping up X production 450,000 cars a year. Germany’s auto industry has had a great year with a bright future ahead, but not every automaker is experiencing success. Following a massive emissions scandal, German automaker Volkswagen attempts to rebuild trust in the brand but is faced with a new crisis. Reportedly, the presence of Cadmium, a poisonous heavy metal, was cited in the charger component of electric and hybrid cars. According to German magazine Wirtschaftswoche, Volkswagen may have to recall up to 124,000 vehicles of this kind. Audi and Porsche vehicles, the luxury brands of Volkswagen group, are included in the range of cars in question. Cadmium is carcinogenic and therefore banned in most auto industries. With 0.0008 grams of the toxic metal each in charging device in question, Volkswagen indicates users would be protected from exposure during the vehicle’s life due to strong insulation. Allegedly, VW’s supplier never mentioned cadmium content and Volkswagen was unaware of it’s presence in the chargers. Volkswagen is complying with the German Federal Motor Transport Authority and stated that if necessary, they will recall the vehicles. If Volkswagen recalls the vehicles, they will be faced with the major concern of safely disposing of cadmium waste. In the meantime, series production and delivery of said vehicles was halted immediately. A new supplier replaced the charging component and production has since proceeded, cadmium free. Volkswagen seems to have hit a rough patch and the presence of cadmium is the latest to join the long list of problems threatening profits. Now is a seemingly fit time for the VW Group to reconsider plans moving forward.